The Challenge: With a growing chain of fast-casual restaurant locations, KASI Restaurants needed consistent branding for their walls, windows and point of sale. 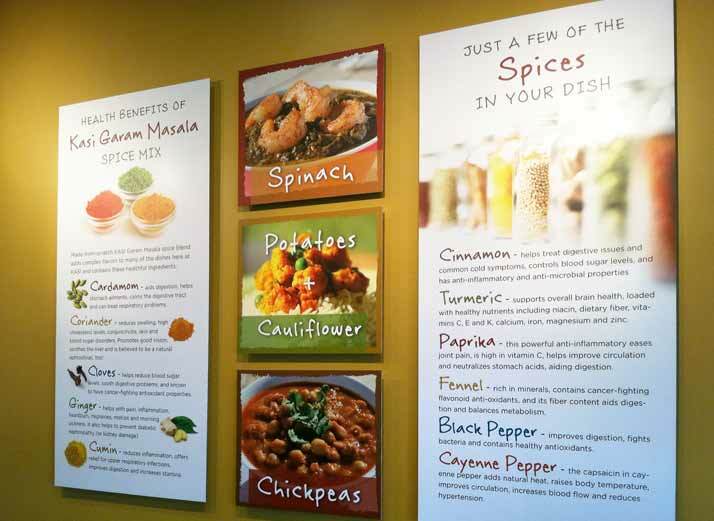 The Solution: I created a series of interior signs as well as countertop displays and window graphics to communicate new dishes and the many healthful benefits of their dishes. I provided copywriting, managed photography, sourced stock images and managed fabrication and installation of all signage, displays and window graphics. All pieces were created to be consistent with current print and advertising materials as well as refreshed periodically.